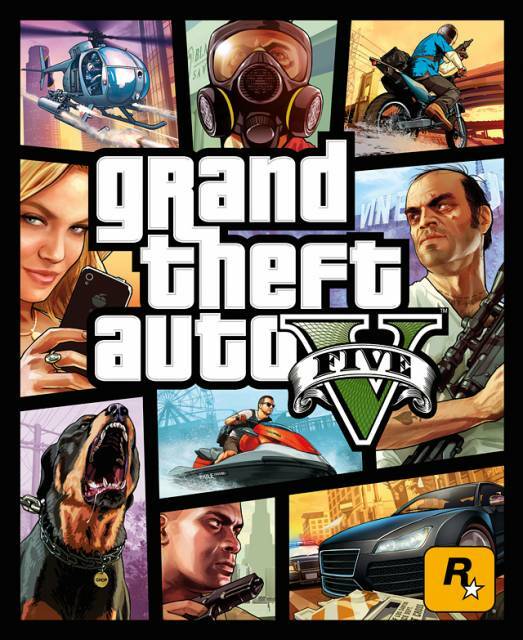 Grand Theft Auto V was the first GTA to offer an expansive online lobby style of gameplay. With it came microtransactions in the form of Shark Cash Cards, allowing players to buy in-game currency to upgrade their homes, cars, weapons, and clothes. While some are purely cosmetic, better weapons can be purchased, but can only be used in free-play and not in minigames such as Deathmatch. Weapons can also be used in co-op missions such as Heists. Shark Cash Cards can be purchased in bundles ranging from $3 to $100. The price of the in-game content encourages microtransactions, and some content is locked behind paywalls which require that you own something else to buy the thing you want. You get significantly better exchange rates when buying more expensive Shark Cards: The $3 Shark Cards gets you 33,000~ in-game dollars per USD, while the $100 Shark Card awards 80,000 in-game dollars per USD, encouraging you to go for the more expensive options. There's also a one-time $40 "Criminal Enterprise Starter Pack" for sale which unlocks a host of in-game vehicles, weapons, and properties, as well as $1 million of in-game money. The online missions do not offer much in the way of payment, making it harder to upgrade your online lifestyle without purchasing Shark Cash Cards. Grand Theft Auto V was the first GTA to offer an expansive online lobby style of gameplay. With it came microtransactions in the form of Shark Cash Cards, allowing players to buy in-game currency to upgrade their homes, cars, weapons, and clothes. While some are purely cosmetic, better weapons can be purchased, but can only be used in free-play and not in minigames such as Deathmatch. Weapons can also be used in co-op missions such as Heists. Shark Cash Cards can be purchased in bundles ranging from $3 to $100. The price of the in-game content encourages microtransactions, and some content is locked behind paywalls which require that you own something else to buy the thing you want. You get significantly better exchange rates when buying more expensive Shark Cards: The $3 Shark Cards gets you 33,000~ in-game dollars per USD, while the $100 Shark Card awards 80,000 in-game dollars per USD, encouraging you to go for the more expensive options. There's also a one-time $40 "Criminal Enterprise Starter Pack" for sale which unlocks a host of in-game vehicles, weapons, and properties, as well as $1 million of in-game money. The online missions do not offer much in the way of payment, making it harder to upgrade your online lifestyle without purchasing Shark Cash Cards.